Struggling private carrier Jet Airways Friday said it will disburse 25 per cent of the September salary to its pilots and engineers along with the senior management on October 25th. The airline has over 16,000 employees on the payroll. Jet Airways has been delaying payment of salaries to these categories of staffers since August. "We would like to inform you that the first tranche (25 per cent) of September salary will be remitted on the forthcoming week of October 25," Jet Airways Chief People Officer Rahul Taneja said in the communication. While there is delay in the payment of the September payroll, please be reassured that the company remains committed to honour its obligation and is making every possible effort to release the remaining amount at the earliest, Taneja added in the communication. Jet Airways spokesperson was not available for comments when contacted. On September 6, after it defaulted on payment of August salary, the airline had informed that the salary of these three categories of staffers would be paid in two tranches - on 11th and 26th of the month - till November. Though it paid the first tranche of 50 per cent of August salary on September 11, it again made only 50 per cent payment of the second tranche and deferred the payment of the balance amount to a later date. It finally cleared the remaining 50 per cent amount of the second instalment of September salary on October 9. 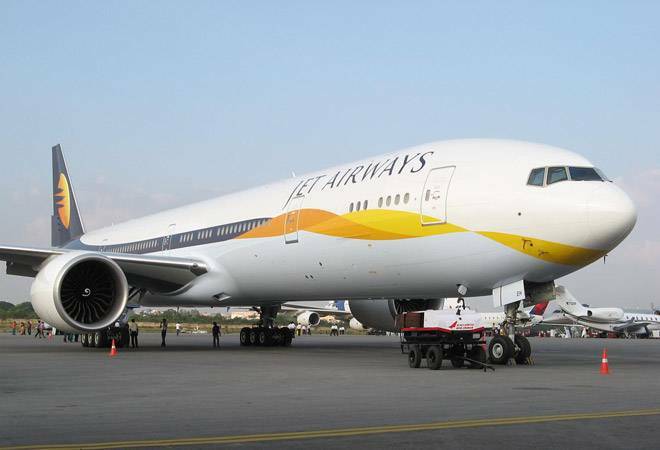 On October 14, Jet Airways had said it was "working" towards a solution (for payment) without giving a date after airline Chairman Naresh Goyal had a meeting with the president and vice president of the National Aviators Guild (NAG) at his residence in the city. NAG claims representing over 1000 domestic pilots of the 1,800 pilots in the airline.